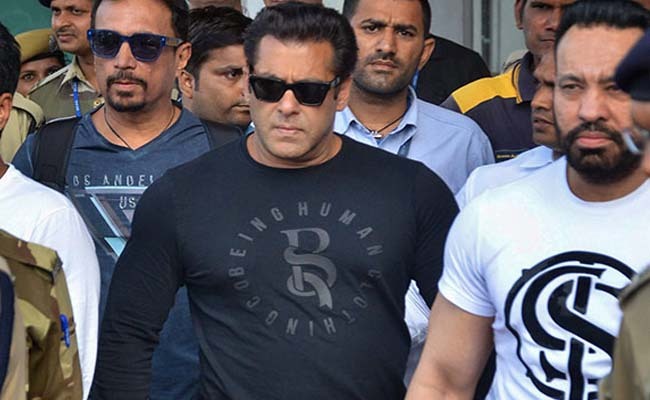 Jodhpur, April 5 (IANS) Bollywood superstar Salman Khan was on Thursday sentenced to five years in prison after a court here convicted him for killing two rare blackbucks, putting an end, at least for now, to a legal battle that ran for 20 years. Salman's sisters Alvira and Arpita were present in the court when the judgement was pronounced. He was also booked for keeping a weapon under an expired arms licence. But a trial court had acquitted him. "I am feeling bad... The film industry has invested so much on him, they will suffer loss. After 20 years, they are finding him guilty. But law takes its course... What can one say?" actor-politician Jaya Bachchan said. Filmmaker Subhash Ghai said he was "extremely shocked" to hear Salman's conviction. "Since he is most loved person by industry and people for his human reasons too", Ghai said, he would get justice in the higher court.